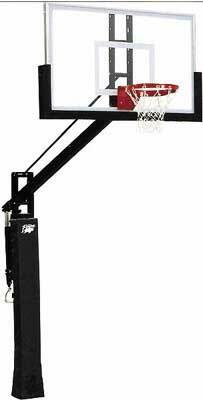 BISON 6″ square pole, 42″ x 72″ TruGlass backboard heavy-duty flex rim. 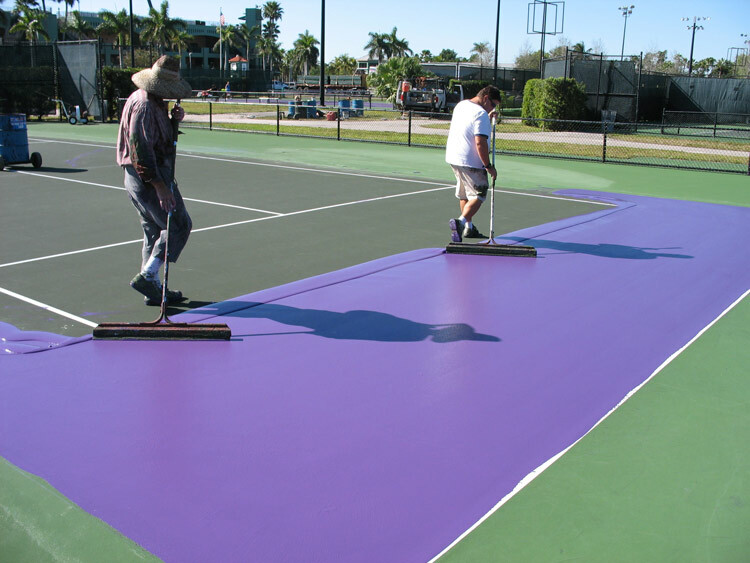 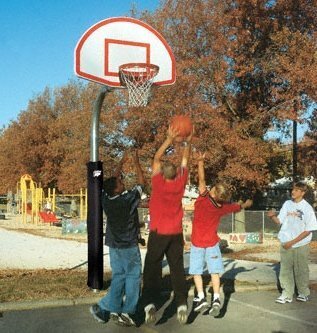 The BISON BA9885 adjusts down to a lowest height of 7 1/2′ and raises up to the standard height of 10′. 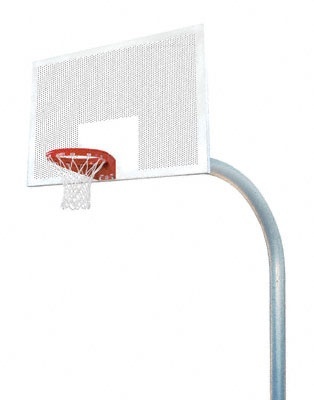 4 1/2″ gooseneck pole, white powder coated fan aluminum backboard with orange shooters square and border, and heavy-duty playground double rim. 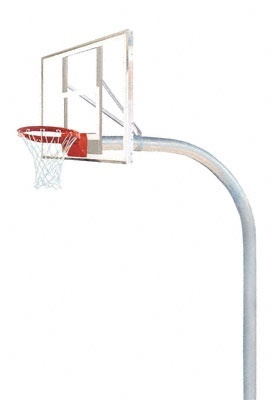 5 9/16″ “Mega Duty” gooseneck pole with 72″ overhang, 60″ rectangular steel graffiti-resistant backboard, and a BISON heavy-duty playground double rim. 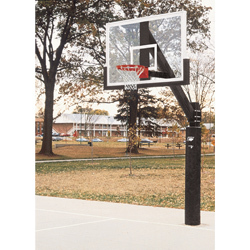 5 9/16″ “Mega-duty” gooseneck pole, official NBA 72″ graffiti resistant perforated backboard, and BISON heavy-duty playground double rim. 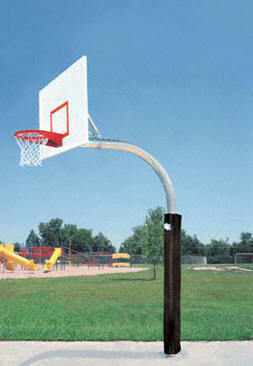 5 9/16″ “Mega-Duty” gooseneck pole, official NBA 72″ unbreakable polycarbonate backboard, heavy-duty playground double rim.